The Black Rock Arts Foundation has been looking for other organizations in pursuit of a similar mission. And this time around, it just so happens they found us! 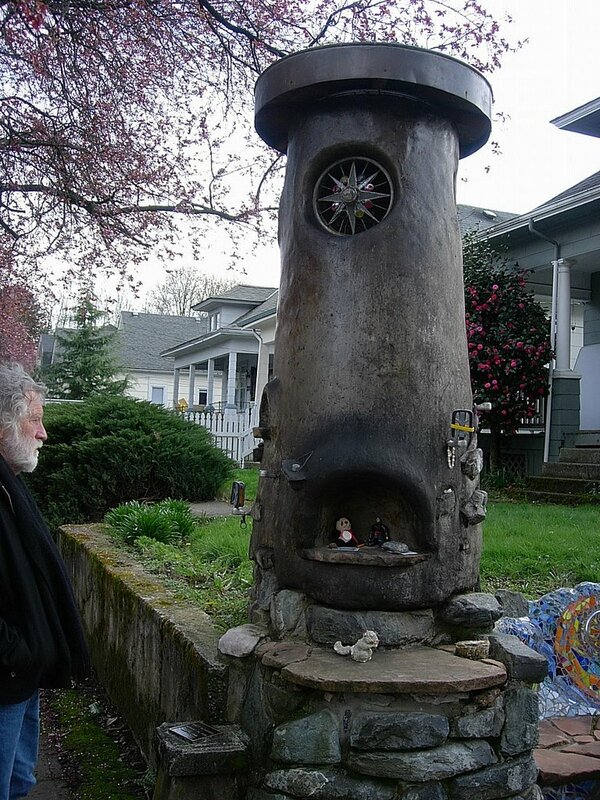 We were so intrigued by Ben Dantoni and the work of City Repair in Portland, that we had to take a trip to parts north, and see what they were all about. Turns out, they’re about many of the same things as the Black Rock Arts Foundations. They’re reclaiming public space through interactive community efforts. They’re actively creating spaces for people to interact with one another, their community, and their environment. They’re using environmentally sound practices to create permanent installations throughout the city — much like the ones you see here. Top image: Life House, a memorial to a bicyclist. This Life House was built to commemorate the needless death of a cyclist whose life was taken when a delivery truck ran a stop sign at this very intersection. The windows in the Life House are made from tricycle wheels artistically embedded with glass; in the evening the house lights up with solar power which has been culled throughout the day from a solar panel mounted on a bicycle fork which encourages passers by to track the sun throughout the day. 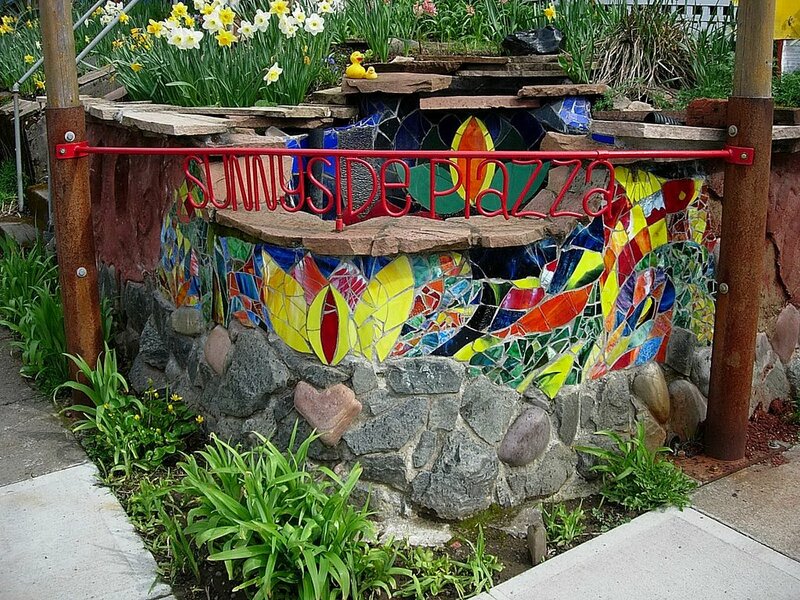 The piece, built on private property with the consent of the home owner, also features a bench carved out of the retaining wall and covered with a colorful mosaic crafted from tile, old chain rings, and bicycle pedals. Born of an intersection repair project at SE 33rd and Yamhill this fountain shrine to Sunnyside Piazza captures the vibrant colors which radiate out from this intersection and onto neighborhood houses! For more information, check out http://www.cityrepair.org/ City Repair now exists in 11 cities, maybe yours is one of them!